If you and your spouse are having a hard time making things work, you may be thinking about calling it quits. However, you have children together and the last thing that you ever want to do is to tear them and their lives apart. After talking about and considering all of your options, you and your spouse have decided to give things another try and to head to marriage counseling to work out the kinks in your marriage. You feel proud of yourselves for deciding to do this but you want to know what to expect before you go for the first time. Here is the 4-1-1. When you go to marriage counseling, you will find that it can also be called couples therapy. 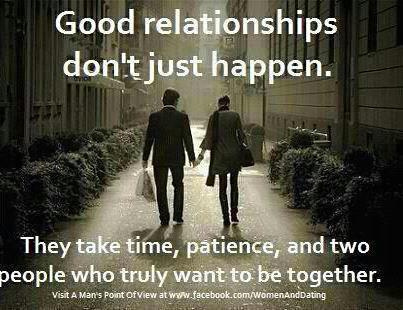 When you go, you will work on the problems in your relationship to get to a better place and fix your relationship. You can decide through marriage counseling whether or not you think you will be able to work things out or whether it will be better for you and your spouse to call it quits and go your own separate ways. You should know that most couples who do go to marriage counseling actually are able to fix their relationships and become stronger than they were before. Marriage counseling is done with either a marriage or a family therapist. This counseling is usually short term until the problems are resolved. You will also find that while both spouses are usually in therapy, one may go alone. Couples go to marriage counseling for many reasons. Some of the reasons include communication problems, sexual difficulties, conflicts about having children, substance abuse problems, financial problems, anger, infidelity and divorce. Through marriage counseling, you will learn how to work together as a married couple to solve any problems that may come your way. You will learn how to better communicate with each other to do so more efficiently. If you or your spouse is coping with a mental health problem, your marriage counselor will be able to make some referrals to get either one of you the help that you need. You can fight and yell at each other in marriage counseling if you want. This way your counselor can see what bothers you and act as a mediator. Don’t be embarrassed. No one is going to judge you. Making the decision to go to marriage counseling is not always easy. It can be hard and at times, you may wonder if your relationship is even worth it anymore. When you have kids involved, however, things change and you may want to go to try to work things out for them. Of course you will never want to be in an unhappy relationship but marriage counseling can help to bring the happiness back into your marriage and you may find that you are able to work things out and carry on with the life you used to have. Good luck! Jenny G. is a writer for http://www.mybusinesscareers.com/. To learn more about changing your career, or starting a career in business, take a look at this site.